Nine regional locations across Australia are in contention to host Qantas’s proposed new pilot training academy. 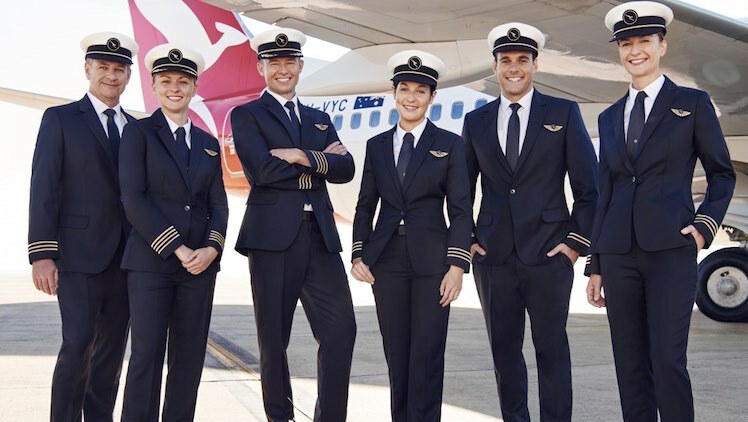 Qantas announced the shortlist for its new flight school on Friday, which comprised three potential locations in New South Wales, two in Queensland and one in each in the Northern Territory, Tasmania, Victoria and Western Australia. Qantas Group pilot academy executive manager Wes Nobelius said the shortlist of nine was whittled down from an initial 60 possible locations in what was a difficult task. “The way that communities have come together to develop some outstanding proposals has been fantastic, Nobelius said in a statement. “From ideas around scholarships to a community photo shoot in Mackay and a video message from the children of Dubbo, we’ve been really impressed with the quality of responses and the level of support on offer. Qantas said the pilot academy management team would visit all nine candidates “in coming weeks”, with a final decision to be made some time between July and September. Further, it was also in “separate discussions with several training providers”, with a formal tender process to be released in period ahead. 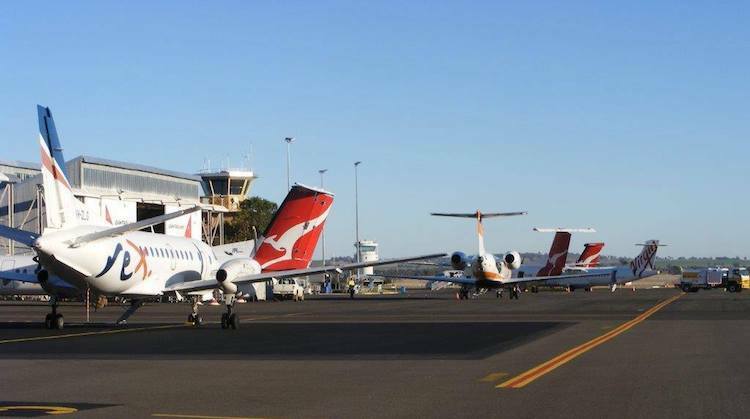 In February, Qantas announced plans to spend $20 million establish a new pilot training academy at an existing airfield in regional Australia with the capacity to train up to 500 pilots a year. The academy would initially train about 100 pilots a year. However, looking further ahead, the company has previously indicated this could grow to 500 pilots a year on a fee for service basis depending on demand from other parts of the industry. Qantas Group Pilot Academy students, typically expected to be high school and university graduates with “strong academic performance”, would undergo 18 months of classroom, flight and simulator training. 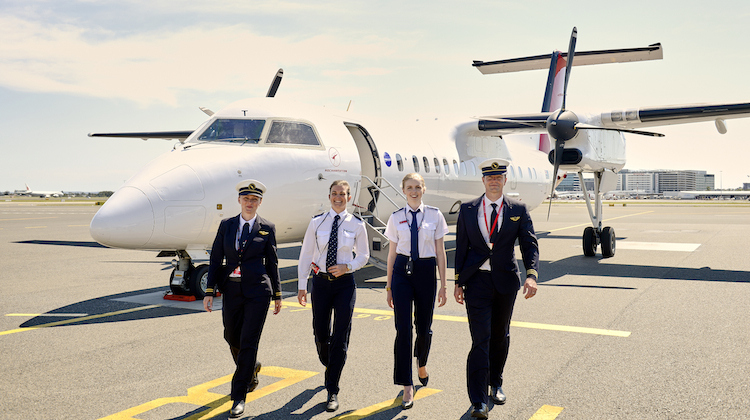 They would then “receive further training specific to the type of aircraft they will be flying before entering service as a First Officer on turboprop aircraft, sitting next to an experienced captain,” Qantas has said previously. While it currently has no location or specific opening date beyond some time in 2019, Qantas said there had already been 14,000 people who have registered their interest in the pilot training academy via the airline group’s website, or, in a least one instance, in person, when an aspiring pilot handed their application to Qantas chief executive Alan Joyce on board the inaugural QF9 flight from Perth to London Heathrow. Of the 14,000 expressions of interest, about 16 per cent were from women. Airport infrastructure – asphalt runway and taxiways with minimum runway length of 1,300m, capability of full lighting for night and reduced-visibility operations and fuel tanker refuelling. Hangars and covered facilities to accommodate maintenance and parking for up to 30 aircraft with the ability to grow to more than 50 aircraft. Environment – weather conditions to allow for a minimum of 300 days per year suitable for flying, based on historical averages. Airspace – access to a mix of controlled and uncontrolled airspace. An airport with a control tower is preferred. Teaching facilities – high-tech student classrooms and space for large group briefings, full wi-fi and IT capability, and facilities to accommodate flight training simulators. Student accommodation – contemporary private rooms, communal lounge areas and cafeteria to create a supportive learning environment, visitor accommodation, access to medical facilities and public transport. While Qantas has previously spoken of having a single site for its pilot school, Nobelius said the idea of a second academy was being considered. Boeing’s 2017-2036 Pilot and Technician Outlook, published in July, showed there was a need for 637,000 new commercial airline pilots. 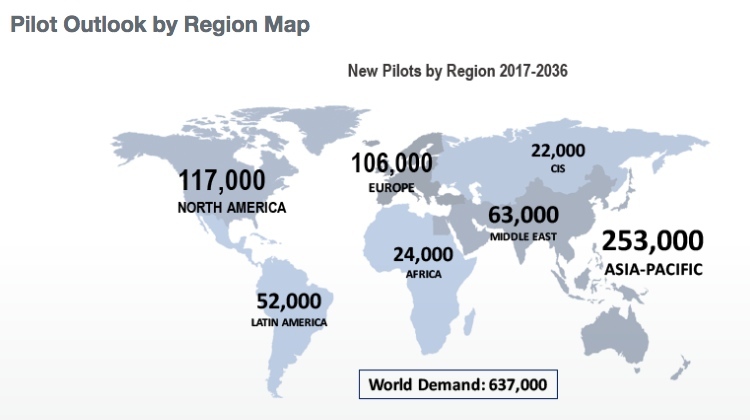 The Asia Pacific would comprise the largest source of demand with 40 per cent of new pilots to be recruited in the region between now and 2036. VIDEO: Qantas highlights its presence in regional Australia in a video on its YouTube channel. Sad that Mildura didn’t make the list. But congrats to those other places! But seriously, BENDIGO over Mildura? Qantas doesn’t even fly there! Interesting to see who gets it. I would have thought the proximity of an ILS would be important also. Only three of those have an ILS at home base. You’d think Tamworth would have to be almost a certainty given BFTS’ imminent relocation to East Sale. Towered and with BTFS gone plenty of room and slots to play with. What odds will someone give me that it will be Tamworth? Bendigo would be interesting, literally has nothing at the moment. Would be a great coup. Bendigo has s redeveloped airport including a new runway and lighting etc. It is close enough to 3 airports in Melbournd for training in approaches etc..the city has education facilities and excellent transport to Melbourne. It is a large pleasant city to live in with many regional airports in easy reach. Mackay, surly offers the best balance of facilities, life style and weather. I would think Tamworth would have to be the front runner as it’s the regional centre closest to their home base of Sydney with an ILS. @KFB while I agree with you that Mildura is likely a more suitable airport than Bendigo, I don’t think it matters that they don’t fly there. It’s the suitability of the actual airport that counts. I believe Bathurst and Orange also put bids in, they don’t fly there either. They didn’t make the shortlist but they make sense as they’re regional airports close to Sydney. Although without an ILS. They can be prone to fog too. Although I would think that might add an interesting dimension to the training environment. Yeah I reckon they’ll get it. It’s actually 4 with an ILS. Wagga, Launy, Alice and Tamworth. I doubt Launceston would meet the 300 days per year of VFR weather conditions. Only really leaves Tamworth. Realistically, QF are trying to play each of these locations off against each other for financial incentives. All of them already tick the box for base requirements. QF are known to try to milk payroll tax incentives etc. It is the reason the A330 maintenance base ended up in BNE. There is nothing wrong with incentives, of course, but it is a bit disingenuous to not mention them in the selection criteria. Dean, why would it matter that REX is already at Wagga? I’ve been there recently. Plenty of space left from what I saw. Agree on Alice though. Who’d want to go there? Probably the cheapest land though. Not sure why Mackay was even considered, a boring city with little potential. Logistically and for the criteria, I would have thought Rocky would have been in a much better position than Mackay. Due to the bigger Uni, easily 300 days of clear weather and the Gladstone ILS being only 50 nm away. But obviously their proposal was no where near as fancy as Mackay! Lol. I agree with most though. Tamworth would make more sense than anywhere. Not only for the facilities, but their ATC. I remember taxing their for Coffs a while back and listening to the controller juggle about 5 “Rollers” that we’re in the air and doing it so bloody well. They are well used to a busy lighties environment. What a joke! Qantas has been the main destroyer of pilot careers in Australia over the last 15 years. Their pursuit of lower wages and conditions for pilots across all their businesses has probably been the number one reason that talented young people have made the choice to pursue alternative career paths. 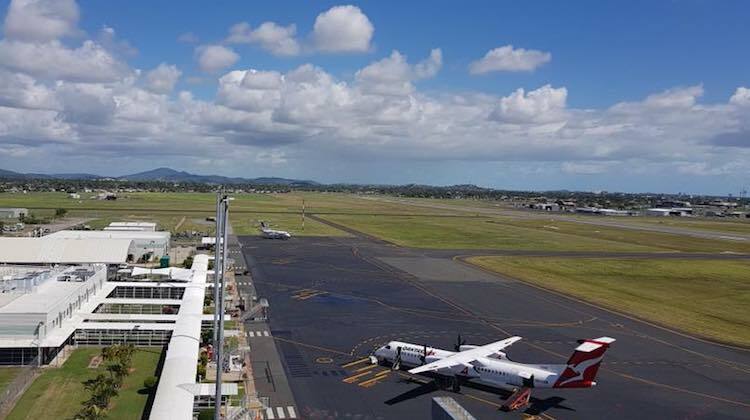 As someone who had significant involvement in the selection of Tamworth in the 1990’s and the provision of the ILS, I hope that the Qantas opts for this location. Excellent airport and facs .Good year round weather. Great location and city. The criteria are well worth a read and may be challenging for all but a very few based on total scope. Including the accommodation and supporting educational aspects; if not just livability & accessibility of the local area. Lonnie weather wise easily satisfies the criteria based on historic data and delivers complex airspace caterogries; (a criterion) not to mention a full suite of instrument approaches, SIDS STARS and BARA RNAV approaches for advanced training. A QF group serviced port. Direct RPT jet connections to BNE, MEL and SYD. Agree with all the not so complimentary comments about how Qantas conducts business. No port will win without a significant infrastructure spend that Q won’t want to fully fund. Interestingly the five criteria didn’t include an assessment of the impact of these training flights on local homes, businesses, schools, hospitals and aged care centres. Training flights are very different to commercial airline flights as far as noise is concerned. They fly lower in continuous circuits sometimes of many per hour with high noise levels that can have a shocking affect on people living and working in the area if they are flying overhead.. Also training planes fly using AvGas which has some lead in the fuel and they fly at lower heights. if it is cloudy the noise echoes of the clouds intensifying the noise. It is like a living hell. While I appreciate the economic benefits, legislation should be amended or modified to protect people living and working in the environment and also to control flying hours which at present can run from early morning to 11pm in the evening without respite. The more training pilots the greater the intensity of this effect on people’s lives. Think twice and make provision before the flight school is established. Its really a profiteering land grab near growing desirable cities, ‘harvesting’ to flog your amenity & future wealth. Wanna really know what relentless foreign fly training racket is? What types of aircraft would the training pilots use? We live in Tamworth. Last thing we need is more noise! Toowoomba is such an aspirational City with a lot of growth and infrastructure going in. It has an International and domestic airport built privately which is a fantastic NEW/FRESH facility. The Garden City is in the top 5 most liveable cities in Australia, spoilt for choice for schools, shopping centres and facilities. Plus it is 1 1/2 hours from Brisbane! Launceston meets all requurements. Some bad weather is exactly what future airline pilots need. Eight eighths blue sky is no way to train someone properly. I am really hoping that Mackay will make it. They would certainly have the full support of the community.